The first available records on The American Whippet Club activities go back to 1930 with a membership of less than 20. The early emphasis by the AWC was the operation of one major specialty show held in a location most convenient to the majority of Whippet owners living in the East. By the late 1950's, the American Whippet Club began actively moving from an eastern organization towards recognizing the needs of the Whippet on a national basis. During this period, the Board of Directors was increased from seven to nine members, and Board members included individuals living elsewhere than the eastern portion of the U.S.A. The annual specialty concept was expanded so there was an American Whippet Club specialty held in the East (Maryland and PA primarily), Midwest (Ohio), and on the West Coast (in California). The Constitution and By-Laws were also slightly altered to better cover the constant increase of Whippet population and ownership in all parts of America. Today, the American Whippet Club has over 500 members from around the world. The AWC is involved in educating new judges about the American Kennel Club's breed standard (Judges Education) and in keeping members informed about health issues within the breed. The AWC also maintains a large archive of historical material on the Whippet. The AWC puts on one National Specialty with a location that moves around the country year to year, as well as Regional Specialties and AWC-supported entries around the country. The American Whippet Club also has developed titles and awards to honor outstanding producers, performance Whippets, versatile Whippets, and Whippet people whose achievements and influence have had a positive impact on the breed. The American Whippet Club is the national breed club for Whippets within the American Kennel Club, and as such, it is the guardian of the AKC Breed Standard for the Whippet. It promotes and encourages the showing, responsible breeding, obedience training and competition, lure coursing, racing, and versatility of the Whippet breed. Membership is open to anyone who 1) is in good standing with the American Kennel Club; 2) is a whippet owner at the time of application; and 3) subscribes to the purposes of the club. Two endorsements by AWC members in good standing are also required to apply. Members are expected to abide by the AWC Code of Ethics which was adopted in 1996 and revised to reflect social media conduct in 2014. The American Whippet Club is governed by the AWC Constitution and By-Laws, last revised in July of 2012. 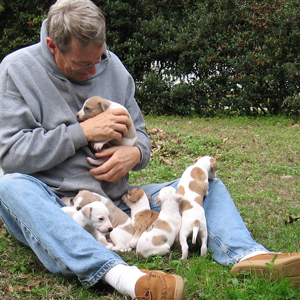 The American Whippet Club believes dogs and people belong together. Purebreds were developed over the centuries to fill specific needs and perform specific jobs. People devoted to preserving these breeds have continued through the years to mate healthy specimens with proper instincts, select the best puppies from the resulting litters, and thus retain the breed's form and function. 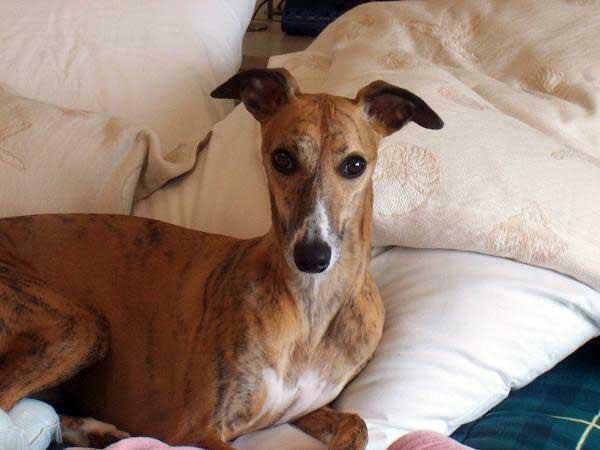 The AWC is dedicated to the preservation and continuing health of the Whippet breed. Animal rights organizations such as the Humane Society of the United States (HSUS), People for the Ethical Treatment of Animals (PETA), and others raise funds from members of the public who believe they are donating to help animals. That money is used to promote local, state and federal laws that make the keeping and breeding of dogs more difficult, more expensive and legally more risky. If successful, the animal rights agenda will end in the elimination of domesticated animals, including dogs. Cruelty and neglect laws - Pets should be treated humanely. Owners and breeders have a responsibility to provide for their animals' needs, and laws requiring this are necessary. Appropriate laws already exist in most areas of the U.S. When new laws are proposed, they must be studied carefully to identify adverse consequences. Reasonable dangerous dog legislation - Laws providing a fair, nondiscriminatory process by which specific dogs may be deemed dangerous based on specific, observable actions by the dog are appropriate. The AWC believes dog owners are responsible for their dogs' behavior. We do not support laws that punish dogs for normal canine instincts such as chasing cats, killing wildlife, etc. In the case of damage to another person's property, owners should be required to pay restitution as well as appropriate fines for not maintaining control over the dog. When a dog is determined to be dangerous to humans, it may be humanely destroyed. Nuisance, noise, clean-up, and leash laws, and other reasonable regulations designed to ensure that dog owners remain responsible neighbors - Dog owners have an obligation to their communities to keep their pets confined and reasonably quiet, and not to intrude on the lives and rights of others. Replacement of 'owner' with 'guardian' (or equivalent) in laws - The legal rights and responsibilities of an owner are clear: those of a guardian, much less so. A change to the concept of guardianship would impair the ability of owners, veterinarians and government agencies to protect and care for dogs. Mandatory spay/neuter - The decision whether to sterilize a dog should be between the owner and veterinarian. We do encourage voluntary spay/neuter of animals not suitable for breeding to prevent unplanned and unwanted litters of puppies. Breeder licensing, permits, or bans - The AWC supports educational programs for breeders and the public, as well as strict enforcement of laws against abuse and neglect. We do not support laws that restrict or substantially burden the rights of people to breed dogs responsibly and humanely. Laws limiting numbers of dogs kept - The issue is not the number of dogs but the care they receive and owner compliance with confinement and nuisance laws. Some owners are incapable of caring for even one dog; others can properly care for a much larger number. The AWC strongly supports animal welfare, but opposes the animal rights agenda. We believe all dog owners and all breeders must work together in fighting the current nationwide attack on our rights as Whippet owners and breeders, and as citizens.